This ultra fine, light reflective powder absorbs excess oil, sets your make up and softens imperfections. 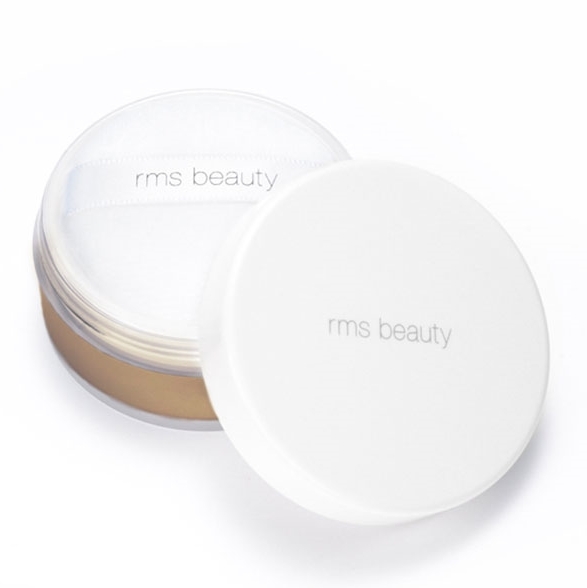 The hint of colour has been designed to compliment RMS Beauty "Un" Cover-up to create a silky second-skin by providing just the right amount of coverage. Free from talk, silicones, perfume and parabens. Pro tip: Use the included puff to prevent adding too much powder to the skin. "On those days when our skin needs a little more coverage help than usual, this is what we reach for."